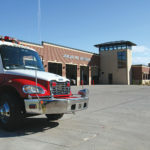 Five Bugles Design was hired to remodel an existing fire station located in Stewartville, MN. During the initial design it became apparent that the station had outlived its life due to structural and remodel cost concerns. The City of Stewartville then asked Five Bugles Design to provide planning and design consultation for a new fire station built on the existing site. 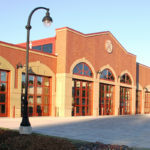 The result was a new 14,000 SF five-bay fire station with a new training room, day room and general administration area.